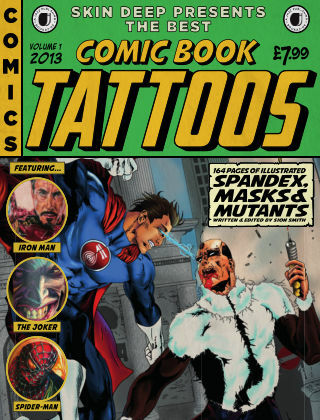 With Readly you can read Comic Book Tattoos and thousands of other magazines on your tablet and smartphone. Get access to all with just one subscription. New releases and back issues – all included. The Best Comic Book Tattoos. We scour the length and breadth of many planets to find out just how deep a fans commitment to their comic book heroes may be. From the obvious trains of thought that no doubt slip from the back of recent success stories such as Iron Man, X-Men, The Avengers and Spiderman, we also go deep underground to find those not so obvious.